Instagram has remained the labor room where many stars are born. From people like Sophia Miacova to Emma Glover, Angie Varona and many others, there are many that have come to be known as Instagram models or Instagram stars. One of such who also doubles as a social media influencer is Miracle Watts. Beyond just social media, she has also got a little space for herself in the “mainstream” since Drake performed what has been described as a jersey retirement ceremony for her, Mercer, and Maliah Michel as strippers. It was on January 30, 1993, that Miracle Watts was born in Houston, Texas. Inasmuch as there is not so much that is known about the glamorous lady, it is known that she was raised alongside a brother and sister who are both younger than she is. Like so many whose fame came pretty much suddenly, there is nothing that is known about the personal life of Watts including her education and how she was raised. She has, however, revealed that she is very close to her mother who she tells everything. Career-wise, Watts made her first post on Instagram in 2013 and has since then continued posting and building a massive followership thanks to her good looks. More than that, however, she has become very popular in clubs around the Houston area where she worked. It was there that she met Drake who would go on to retire a jersey in her honor alongside two others; Maliah Michel and Lira Galore who were said to be some of his favorite in 2017. The interesting thing is that long before then, the rapper had mentioned her in his 2014 song, 2 On / Thotful with OB Obrien. Her mention in the song increased her popularity in Houston where she hosted events and worked with Facet Studios digital agency. Described as Houston’s Baddedst, Watts also appeared on the cover of a number of magazines including an edition of Straight Stuntin Magazine in 2013. She appeared on the cover of the urban magazine which previously had people like 50 Cent, Busta Rhymes, Ray J, Rick Ross, and many other stars alongside American rapper, French Montana. When it comes to her fortune, Miracle Watts is not doing bad for herself. The model who is a social media influencer, stripper and a businesswoman who owns the beauty company, The Miracle Lash that is into eyelash extension business has a net worth that has been estimated at $600,000. Apart from her business and other engagements, Watts makes some money any time she makes any post on Instagram thanks to the over 2 million followers that she has on the platform. 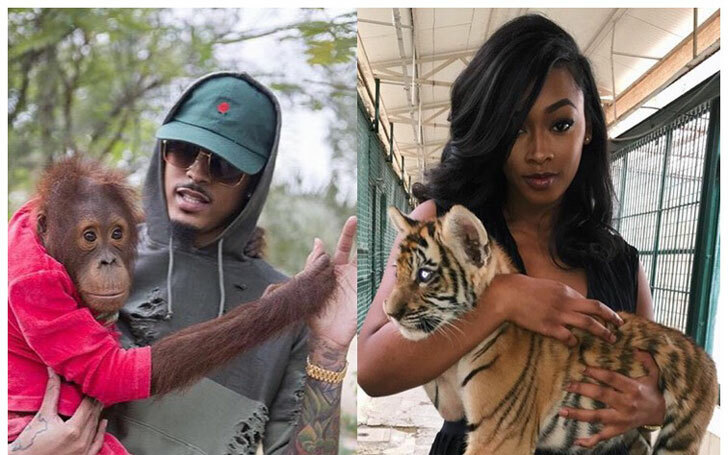 Miracle Watts has been in a number of relationships in the past with some important celebrities. Although there are some sources that claim Drake was once her boyfriend in 2013, there is actually nothing to support the claim. The first public relationship of the model was with American businessman Hasan Suliman in 2012. It was during the relationship that as claimed, Miracle first began making her name as she was managed by Facet Studio owned by Suliman. In 2014, the relationship ended in an unfriendly manner. The reason behind the demise of the relationship and their public fight on social media is not known. Next, came August Alsina. In September 2015, Watts began yet another relationship with American recording artist August Alsina which was not hidden from social media. With all that, the relationship came to a halt only eight months after it began in 2016. After her relationship with August ended, the model was linked to Tori(sflyy_) in 2016. However, there is nothing to show that the two have dated or if they have, it was only briefly. In 2018, some sources claimed that she got into yet another relationship with Rich The Kid, but again, there is nothing to support the claim. Inasmuch as there is no denying the fact that Miracle Watts has worked hard over the years to be where she is, one will also agree that her good looks have also contributed in no small deal. With that said, she is not necessarily the tallest woman that you will find. She stands at a height of 5 feet 4 inches. Weighs 135 lbs while her body measures 36-25-34 inches. Watts revealed that her mother is very prayerful. She also has a YouTube account where she shares different beauty tips. There are some online sources that have alleged that the beauty underwent cosmetic surgery to enhance her looks.